In 2015 two pivotal events took place. The UN endorsed the Sustainable Development Goals and during the UN Climate Conference, COP21, in Paris 195 countries signed the most far reaching Climate Agreement ever. Pressure on resources and climate is being felt around the globe. Price fluctuations and certainty of supply are becoming a risk for trade and industry and there is a clear desire to decrease dependency. Rather than being defensive Paul Polman, the CEO of Unilever, called the outcome of COP21 the biggest business opportunity of the century. Dutch Social Enterprise Circle Economy describes the circular economy as a means for our industrial systems to mimic natural systems, where all materials are continuously cycled. The circular economy seeks to optimise the value of materials, components and products throughout their lifetime, and relies on strategies that: reduce the use of virgin resource inputs and the use of non-renewable resources; cycle wastes and by-products within industry chains; and extend the lifetime of products and assets to maximise their value. It also requires systemic change and institutional strategies that support circular economy actors to: collaborate with industry chains, governments, and customers to create joint value; innovate using new technologies and business models; and lead the strategic direction of the companies towards circularity. – Recovery & reuse models focus on recovering the embedded value at the end-of-use stage. Circular Economy is not only about making materials circle longer: to be sustainable, the energy in a circular economy is renewable, a circular economy preserves biodiversity and is social inclusive. The circular economy is another way of designing, procuring, producing and selling goods and services. The Circular Economy has been adopted as an economic vision for the future of Europe, a vision that aims at green growth where economic growth, job creation and sustainability go hand in hand. The Circular Economy Package, adopted by the European Commission on December 2, 2015 is much more than just about waste and resources. It is business-driven and a strong indication to industry that the EU is using all the means available to revive its economy, create new business opportunities and stimulate competitiveness. The measures go across the whole value-chain and well beyond a limited focus on the end-of-life phase. The EU EC package should lead to both innovation and more efficient ways of producing and consuming. It offers a path to jobs creation in Europe, while keeping the resources essential for industry, reducing resource related environmental impacts and giving waste a second life as a resource. On December 2, 2015, the European Commission adopted an ambitious new Circular Economy Package, Closing the loop, to boost competitiveness, create jobs and generate sustainable growth. The consumption of materials in selected sectors could go down 32% by 2030 and 53% by 2050, compared with today. Included in the study were primary materials from automotive and construction sectors, real estate land, synthetic fertilizers, pesticides, agricultural water, fuels, and non-renewable electricity. The circular economy not only preserves precious and increasingly scarce resources, reduces environmental impacts of resource use and injects new value into waste products. It also has the potential to create many jobs in Europe. Philips Lighting has adopted Circular Economy. Lighting is responsible for a large part of electricity consumption and CO2 emissions. For example Public Lighting is very relevant for Cities all over the world. In 2014, the supply of lighting still accounted for 15% of the world’s power consumption. Philips Lighting aims to contribute to achieving the United Nations’ ambition of reducing this to 8% by 2030. The new, intelligent LED lighting, for instance, uses 80% less power. Philips is also offering Light as a Service. Clients no longer invest in light bulbs and maintenance, but pay only for the light. This saves both energy and materials and offers Philips new customer propositions. In discussions about street lighting for a city the topic of “safety in the streets” is addressed and when discussing lighting in a shopping mall the it also about the creation of an atmosphere that leads customer retention and increased shopping. The Port of Rotterdam, Europe’s largest Port that is starting to “walk the talk” towards Circular Economy. In Rotterdam large scale applications can be seen like the capturing of CO2 from Industry for use in nearby green houses. Lining offer of excess heat with demand has been done by a “plug & play” heat network. There are many advanced recycling examples in the Port area for example for plastic or linked to construction and green chemistry. Chemical leasing is a business and service model that is growing. Here the chemical company supplies a substance for a specific service, but retains ownership of the chemical. It brings a shift in focus from increasing sales volume of chemicals towards a mutual beneficial value added approach between client and supplier. It leads to more efficient use of chemicals, and to quality, environmental, and economic benefits. Some examples from the Rotterdam Port Area are small and inspirational (even edible!) like RotterZwam (mushrooms grown on coffee residues). Fairphone, a durable, ethical and smart mobile phone. For most people, buying a new phone every two years has become the rule rather than the exception. That has an enormous impact on both society and the environment, not least because a lot of the raw materials are mined in conflict zones. Fairphone developed the first ever ethical phone in the world without a drop of blood being spilt. Furthermore, the device is intended to last at least five years. To this end, repairs to the smartphone are kept comparatively simple; spare parts are easy to get hold of and software is relatively future-proof. It hasn’t always been easy to convince consumers to keep hold of a phone for that length of time. Nevertheless, the fact that the Fairphone 2 was recently launched and the total number of devices sold will soon reach 100,000 is a sign of its success. 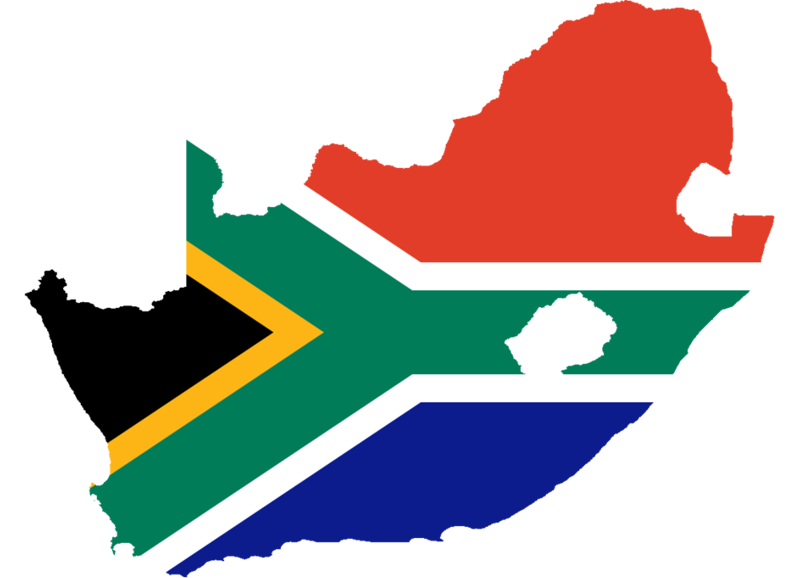 South Africa is not identical to Europa, it will have to design its own approach to a Circular Economy. It is an opportunity for “green growth” for South Africa. Working on Circular Economy is boosting the Sustainable Development Goals (SDGs) as well: in particular SDGs no.8 “promote inclusive and sustainable economic growth, employment and decent work for all” and no.12 “ensure sustainable consumption and production patterns”. The good news is that part of this Circular Economy is already happening today in South Africa. What is needed that it inspires others to follow and scale up. One organisation that is active in this field is GreenCape, established in 2010 by the Western Cape Government, as a non-profit organisation that drives the widespread adoption of economically viable green economy solutions from the Western Cape. They work with businesses, investors, academia and government to help unlock the investment and employment potential of green technologies and services, and to support a transition to a resilient green economy. Another example comes from the South African PET Recycling Company PETCO that gives bottles a new life. Their State of the art bottle-to-bottle plant in Johannesburg was the first in Africa. It is an industry-driven and industry-financed environmental solution for post-consumer PET plastic. PETCO supports recyclers with community programmes, educational material and awareness programmes on recycling. PETCO promotes recycling efficiency in the production, design, conversion, collection and recycling of post-consumer PET plastic. Funded by a voluntary levy paid by their members who purchase PET resin. In 2015, recycling PET bottles created an estimated 50.000 income opportunities. The Circular Economy finds inspiration in nature. The Biomimicry Genius of Space project is focussed on water treatment and waste upcycling for Langrug Informal Settlement uses nature’s principles. It forms part of the Western Cape 110% Green Initiative. This initiative combines two priorities of the Western Cape Government – the Berg River and the Green Economy – to find an innovative solution to water pollution in the Berg River. BiomimicrySA is working together with John Todd Ecological Designs to design and implement the innovative solution to the wastewater challenge. Circular Economy can be applied to buildings and the tourist industry is responding to the opportunities. Hotel Verde in Capetown is an energy efficient, water saving, waste rethinking hotel that is the only hotel in the world to be LEED Platinum certified (green building certification) for both their design and construction, as well their operation. Remanufacturing is significantly more labour intensive than manufacturing: it is a job creator. The European remanufacturing sector could triple by 2030 and be worth €90bn if it receives cross-sector policy support and investment from industry, an ERN report from 2016 found out. Imagine what it could do for South Africa. Last year Frank Rovelli, CEO of Probe, a leader in rotating electrics and batteries in South Africa, pointed at a variety of reasons, from cost effectiveness to environmental sustainability, that make remanufacturing a win-win for companies in the automotive sector and their customers. Lessons from Europe are also that a circular economy approach should not be limited to end-of-pipe. For companies, it often starts with phasing out waste (energy, water, materials) in the whole product chain. By reuse, upgrading or recycling or changing to bio-based input the level of circularity can be increased. A next step is often based on value-chain efficiency, easiness of use and reliability of the product. By going down this road, new collaborative insights are being obtained that lay at the basis for new business models aimed at usage instead of ownership or fully digital services. Dare to be disruptive. Europe is showing increasingly that circular business and circular city solutions are beyond the drawing board stage and is working hard on the setting the conditions to a further circular transition. On May 4, in the Riverside Hotel in Durban, the EU-South Africa Dialogue on Sustainability Transition, this time in collaboration with the Dutch Embassy, is focussing on the Role of Circular Economy. The authorities and companies Europe brings along hope to inspire South Africa to go down this circular road and are ready to exchange knowledge and discuss further opportunities.